This is the second time Dining in the Dark is held at Charlie’s on Main, with the first time being in March 2018. The first time the Council held this type of event was about six years ago in Appleton at a restaurant called GingeRootz Asian Grille. Three years ago, Vignette Dining Club also joined the Council and has been doing about three Dining in the Dark events per year. 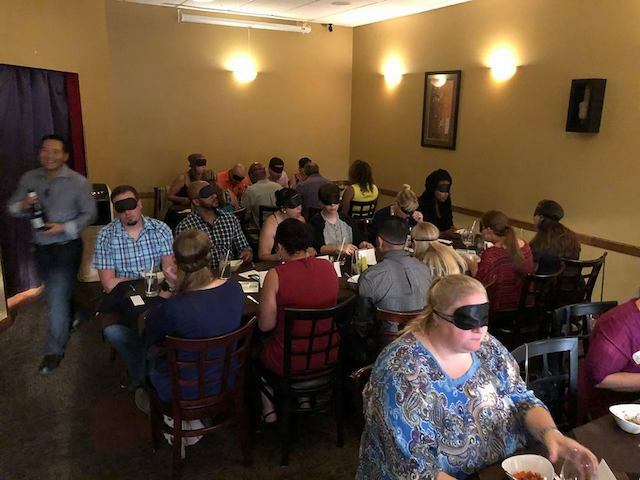 Following a presentation for Madison Original, an association of independently owned restaurants and affiliated businesses in the Madison area, Charlie’s on Main approached the Council to hold a Dining in the Dark event. Paul Soglin will propose a $17 vehicle-registration fee to help close budget shortfalls and maintain community service programs for low-income residents. Chris Rickert, Wisconsin State Journal, 6/15.